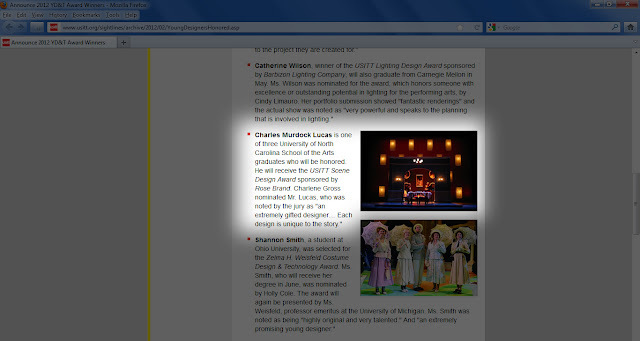 I am honored to receive the USITT Scene Design Award Sponsored by Rose Brand! "The Scenic Design Award is given to graduate students who have demonstrated excellence and talent. The award is sponsored by Rose Brand. These awards bring recognition and support to young designers and technicians at the beginning of their careers, encouraging growth of professionalism within the entertainment industry." The award will be presented at the USITT Conference in Long Beach in California in March 2012.